Define Crazy: A person who acts in a manner that the normal society does not approve of --- people who act in ways that don't improve their lives, make them happy, prosperous, an inability to thrive. Define Crazy: A person who acts in a manner that the normal society does not approve of --- people who act in ways that don't improve their lives, make them happy, prosperous, they fail to survive, and thrive. Crazy people become a burden to society, in extreme cases, they must be cared for by others. This is an extremely important definition for travelers, or expats hoping to choose new friends, and new places to live. Why? Because if you don't avoid them, we will surely become like them. Social pressure always wins. 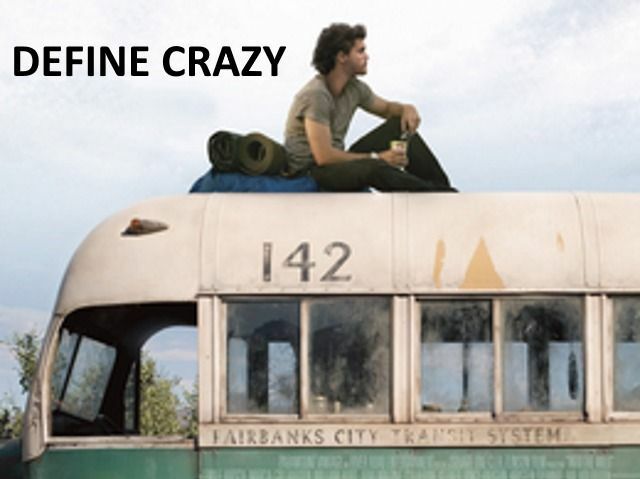 A great example of a traveler who lost the plot, who defines crazy, is the film, "Into the Wild." The man fails to thrive, and dies, the ultimate failure to thrive. 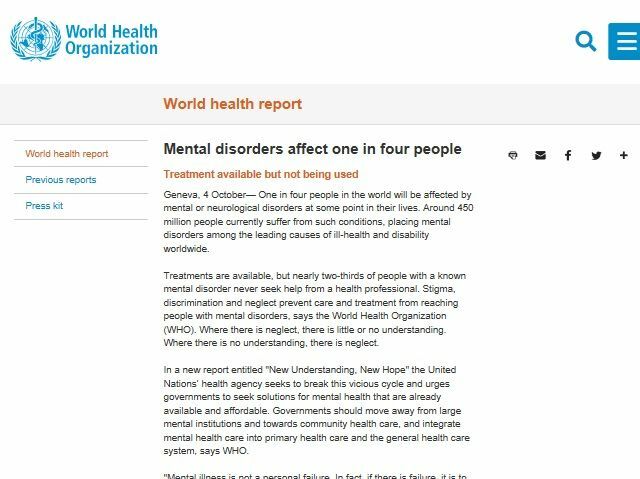 1 in 4 are affected by mental disorders. 100% of us are influenced by people with mental disorders.